Home ♦ LIFESTYLE ♦ Lovely Beards: Grow a Healthy Beard! Lovely Beards: Grow a Healthy Beard! by Zane April 16, 2017 February 5, 2018 . I can’t believe we’re in the half month of April and there were a lot of things happened! This month is the start of my travels and I am super excited to explore different places again. I just wish that I can spend some time with my loved ones on those travels but it’s a no. I need to travel alone and experience new things all by myself. Let’s go on to our main topic today because we are going to talk more about men and their beards. Yes, you read it right. Beards. Do you know someone who loves to grow their facial hair but eventually fails? Well, the answer to growing a smooth and healthy facial hair is to take good care of it properly. Aside from that, they will need some products in order to keep it nourished. I know a lot of guys who like to grow their facial hair and I have a suggestion. They should use an oil or a balm made especially for their beards. I am talking about the products that I have discovered from Lovely Beards. If you’re a man and you’re reading this, you should try this product which is called vanilla beard oil. It helps your beard to make it manageable and softer. Protect your beards from itching caused by beardruff from the dirt that you are facing every day. It’s not about how long it is but how you manage to properly groom it. Stand out from job interviews and events with a well-groomed facial hair. You can even find your perfect date easily! Some women like men with well-groomed beards! It is an organic type of oil which moisturize and helps you shave less. Get that look that you always wanted with this facial hair oil. Can’t get enough of these oils? 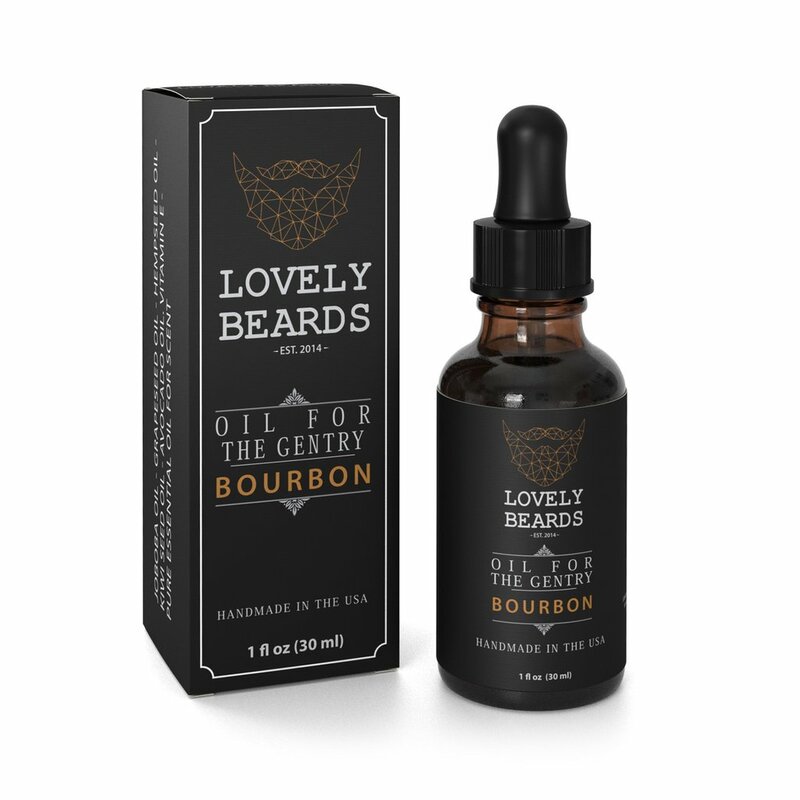 You can also try their bourbon beard oil to have softer and manageable facial hair. You can also use it to get your preferred look without taking a lot of time to do it. Your facial hair can benefit from it either for short-term or long-term because it contains 100% organic ingredients like Hempseed Oil, Avocado Oil and Grapeseed Oil for beard health. Always keep your beards conditioned to avoid that dry look. All you need to do is to apply it regularly and you will achieve a soften facial hair. Forget about itching and flaking and help your facial hair protected against problems that can associate with not properly groomed hair. Be confident and look professional in any situation. Don’t worry about any unwanted effects from these products because it has 100% organic and essential oils. It is perfect and handmade in the USA for best results. These are the best products to use for grooming and conditioning men’s facial hair. There are no other long steps to protect your facial hair other than simply applying it daily. I know most of you dear readers are women so the next time you think about the best gift that you can give to your guy friends or boyfriend, you can check or contact Lovely Beards for more amazing facial hair products. I know few men struggle to grow their facial hair, this would be a nice product for them.